I submitted a question via twitter: which scene has he found most challenging as an actor? His answer was the scene in "Tempest" where Lex & Lionel confront each other while the mansion falls down around them. Michael couldn't get his lines right, was frustrated, until JG took him aside and said "Now, Son..." (JG called him "Son" even off camera.) "What aren't you doing?" And Michael realized that if he could just calm himself down & listen to John, he'd nail the scene, and he did. 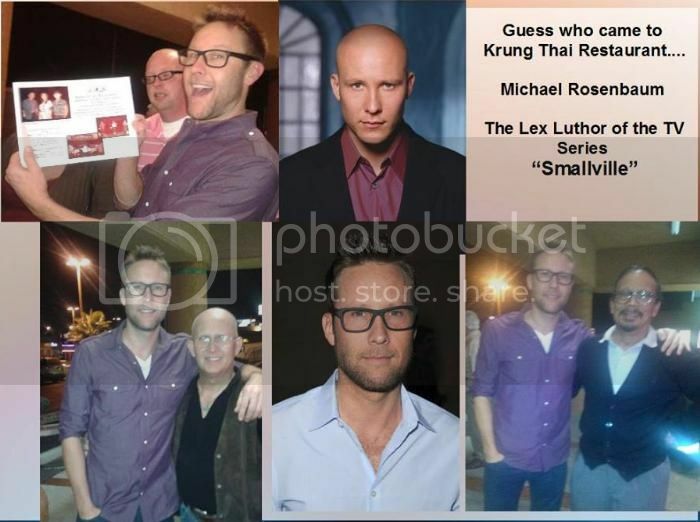 Michael tells the story of director David Nutter showing him scenes they’d just shot from the pilot of Smallville. His reaction to shooting the Smallville Pilot. "And then I realized that Lex doesn’t have to be a hunk, does he? And I just stuck to my guns. I remember after the pilot though, I still thought I was going to be fired. At least, I got a pay cheque!" He also recently visited a restaurant and the owner made the cutest collage! Awww, the collage is so sweet! Michael is just such a sweetheart! I will never get tired of hearing about his and John Glover's relationship. I love that John calls him "Son" offscreen - so very cute. 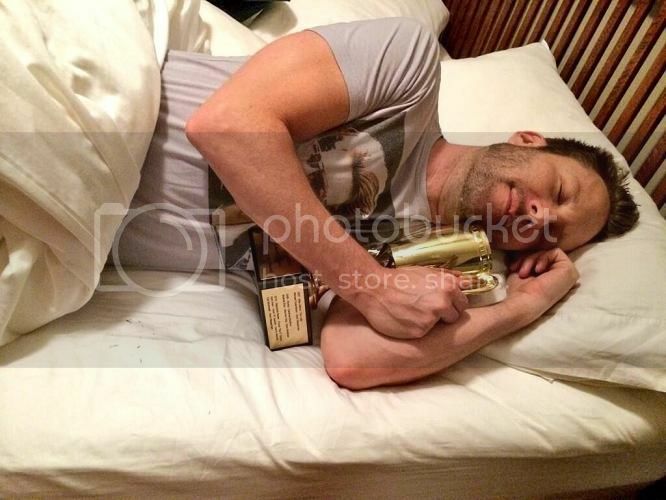 I love that pic of him and the trophy. He just looks so adorable. Heh, that is a cute collage! Hope Michael and JG have lots of stories ready for March! I anticipate a panel of endless mutual teasing! The restaurant owner would fit right into fandom!